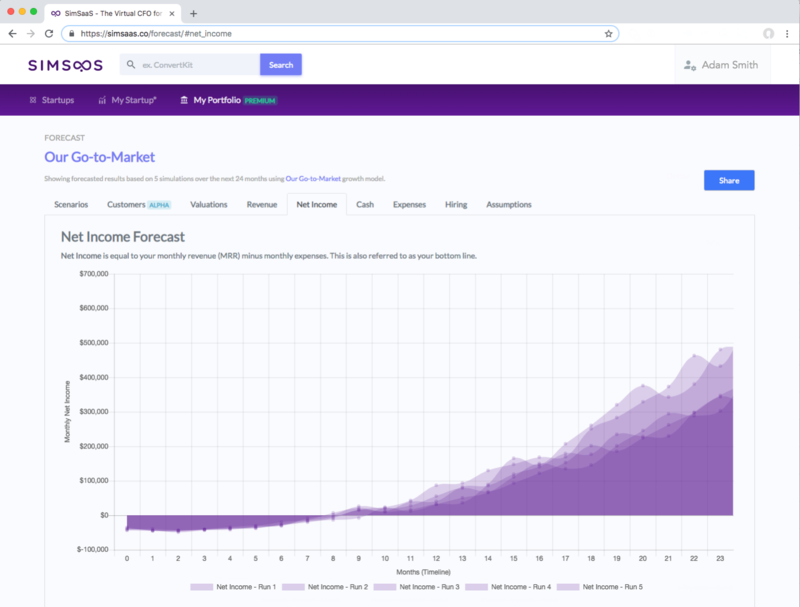 The growth forecasting app for startups and investors. How Should You Invest in Growth? SimSaaS turns traction into a full suite of forecasted metrics. How will your ARR and MRR grow based on sales cycles lengths, trial lengths, and pricing? How will your costs grow to meet the market and scale your operations? When will your revenue exceed expenses? What levers influence the shape of your J-curve? How much cash will you need to support the next phase of growth? How many new sales, customer success, and engineers will you need to hire and when? New markets expand along an S-curve. How will this effect your own growth? Say hello to fresh projections, portfolio analysis, and cloud-based collaboration. SimSaaS updates automatically so you can rest easy knowing you'll never have a stale pro forma. SimSaaS draws on a wealth of best practices to help you avoid pitfalls, test your assumptions, and master your business model. Forget spreadsheets over email. Share forecasts through cloud-based access controls for investors and team members alike. Connect Stripe and Quickbooks to visualize progress and generate updates. Not quite ready? Joining our mailing list. Sign up for SimSaaS news and announcements. Helping you select from many futures. © 2019 Strategy Pi, LLC. All Rights Reserved.